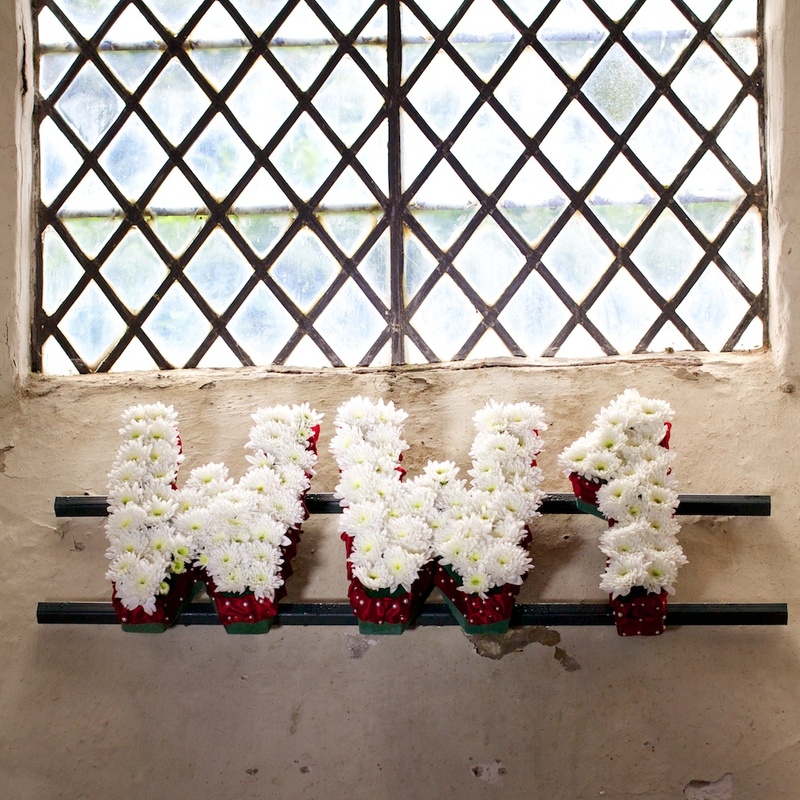 There were several happy events at St. Leonards church on the weekend of 2nd August 2014 commemorating those men from Holwell who did not return from the Great War. 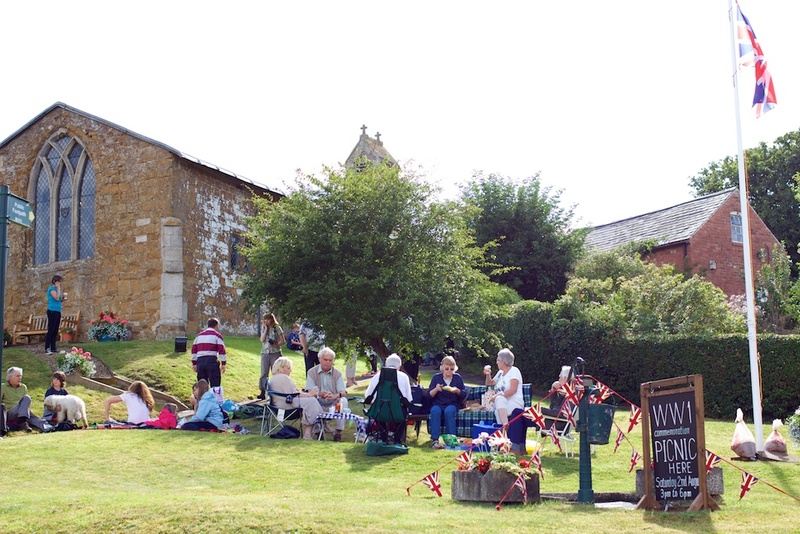 Volunteers had worked hard to prepare for a grand Picnic on the village green outside the church, raising a flagpole, sanding the bench, making cakes and collecting cups and plates for teas. 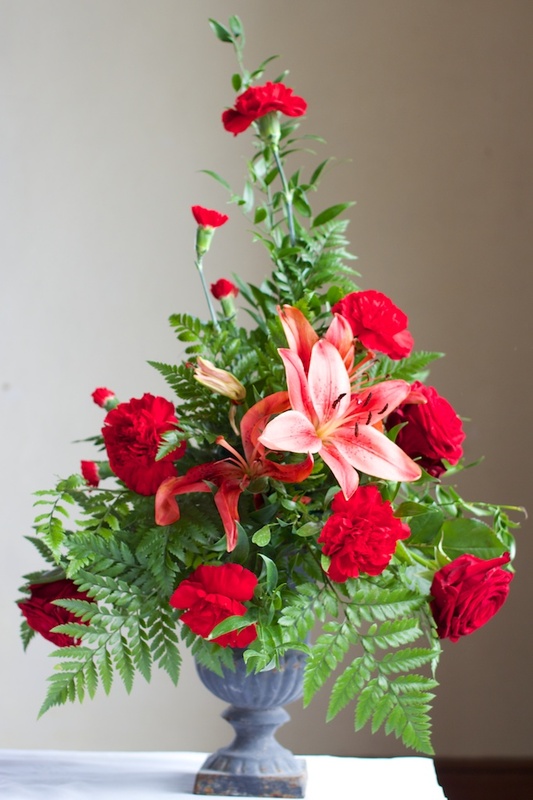 Flowers were expertly arranged by Phil Wilkinson-Blake on the font and in the windows throughout the church. 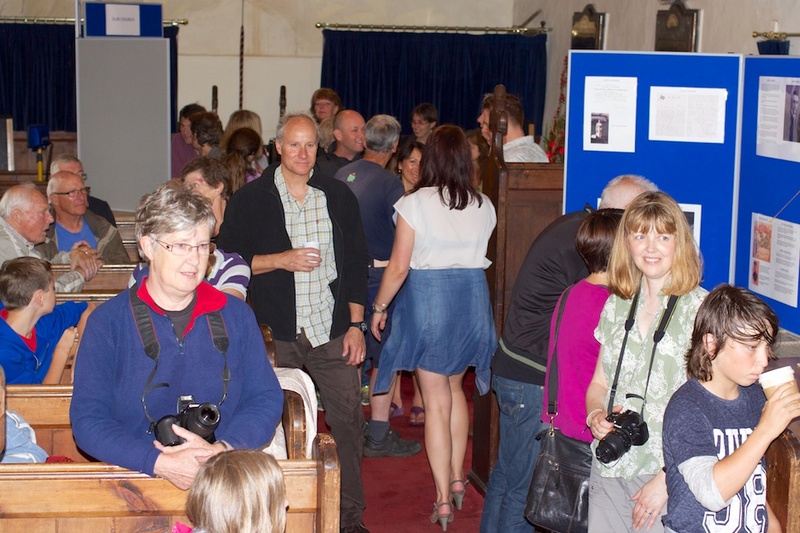 Chief organiser Simon Wilkinson-Blake had researched deeply to produce two full exhibition boards on display in the church about the fallen men with reference to their backgrounds and connection to Holwell; the two plaques in the church on which the men’s names are inscribed had been laboriously cleaned . 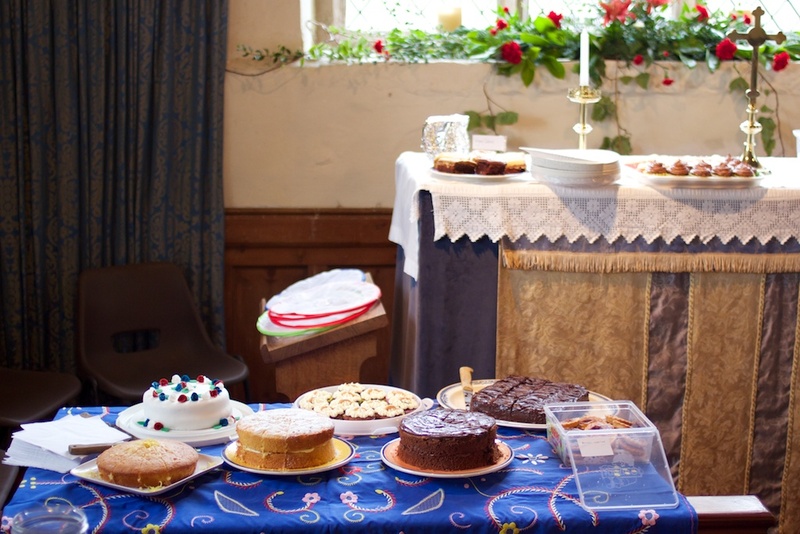 On the day from 3 pm over 60 people from Holwell and surrounding villages gathered in the church and on the greens to enjoy each other’s company and to read about the fallen, and identify with the houses the fallen had lived in. 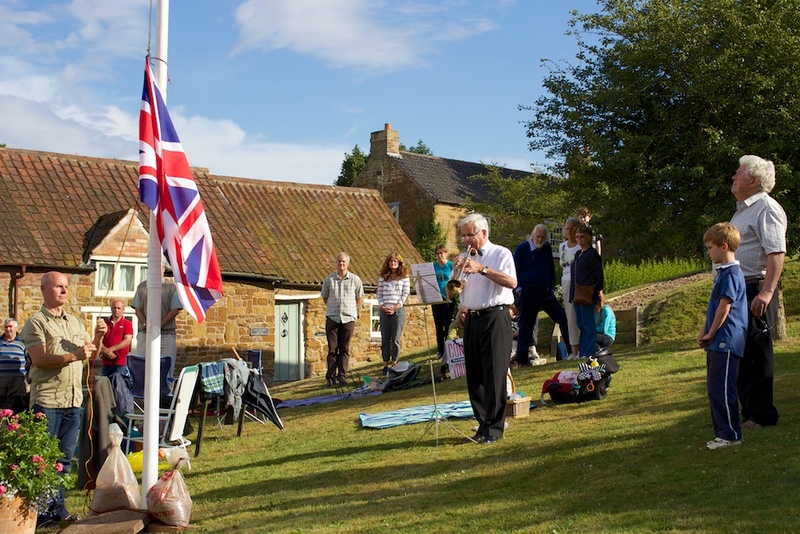 Few people now in the village would have known any of the men who served in WW1, but three surviving relatives of the fallen men had been contacted and had contributed to the exhibition and came to share their memories of the fallen. 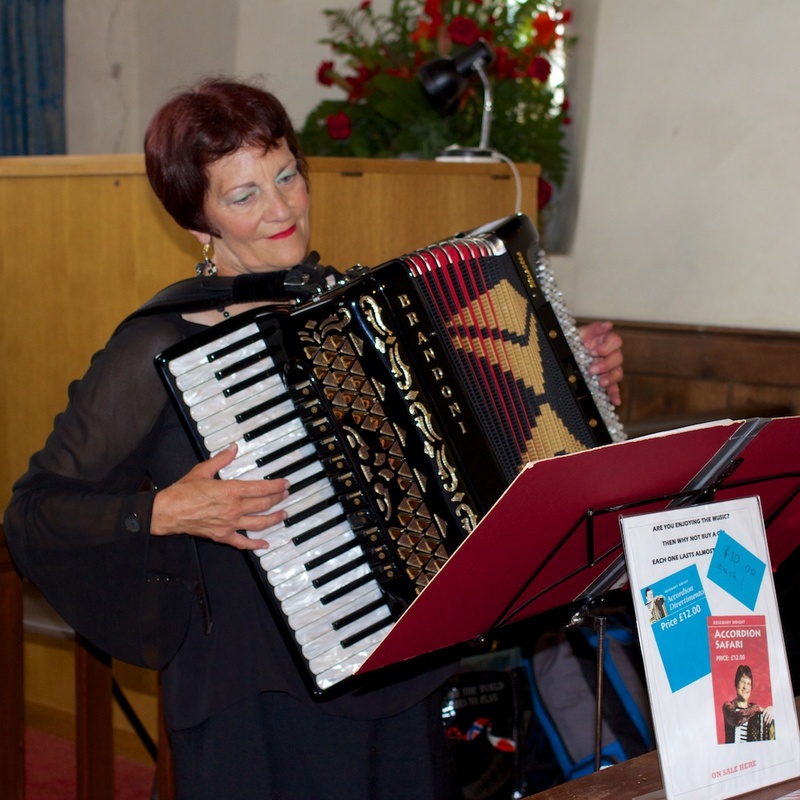 All this was accompanied by accordionist, Rosemary Wright, from Countesford, to put visitors in the mood with music from the WW1 era. Finally a Last Post was sounded just before 6 pm and the Union Jack flag ceremonially lowered to the sound of the trumpet. Celebrations unofficially continued until 9.30 pm. On Sunday 3rd August at 7 pm, summery as well as non-alcoholic fruit cocktails were served before an Organ Recital at 8 pm given by Ron Berry, who had returned to play several appropriate commemorative pieces on the organ he had recently sold to the church. One of these was a delightful Celtic Air composed by Charles Paterson, the husband of our vicar, Rev. Sue. Over 40 people filled the church pews, and listened to readings from well known War poems, chosen by David Harris, who introduced each with an informative historical note. Chris Dockerill from Old Dalby also performed again with a couple of trumpet voluntaries accompanied on the organ. Lastly, on Monday 4th August, the centenary of the actual date on which war was formally declared to the nation in 1914, a candlelit Vigil was held in the church, as suggested by Royal British Legion, with time for silent personal commemoration and more reflective readings chosen by David Harris for the 7 people attending, and ending with a single candle being shown and all electric lights being turned off. This was repeated in the windows of several houses in the village. Following on from this, Melton Times gave us a good report of these events, and in the words of the poet Lawrence Binyon “ We will remember them”, Holwell has given due remembrance.